This was a full redesign and development from scratch. I was involved from day 1 to create the project outline, source out a developer, create the feature set, fully design every element, manage the project along the way, and finally put together marketing strategies and an advertising campaign for the site launch. Roles: Research, Marketing & Advertising, Creative Direction, Project Management, and Web Design. 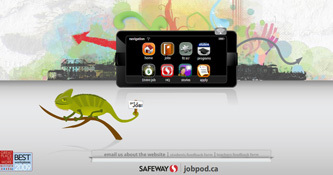 This award-winning website was a part of a full high school recruitment strategy for Canada Safeway in Alberta. My involvement included full design and Flash build of the website as well as creating the chameleon mascot that was featured in the website and used throughout the campaign. Other materials i produced for the campaign were; trade show banners and booths, posters, brochures, and advertising graphics for local media. Roles: Art Direction, Illustration, Design, Actionscripting. A custom careers website created to handle UFA's vast needs and locations. 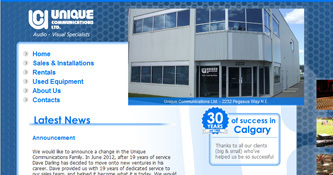 It was designed specifically to integrate seamlessly with their corporate website. Other administrative features have been added recently to make the site more comprehensive and effective for UFA's ever changing recruitment requirements. Roles: Creative Direction, Web Design, Project Management. A small promotional website for a minor hockey goaltender who aspires to gain a scholarship through hockey. The website is based around it's high quality photography that was stylized to highlight Alex. The client was extremely pleased with the product and continues to get positive feedback from anyone who visits. Role: Web Design, Graphic Design (Photoshop), Web Development. A compact, clean, and effecient corporate website redesign that stripped out the excessive old content and design and replaced it with a smooth new modern design. Role: Web Design, Graphic Design, Web Development. A redesign is in the works that will significantly update Stream Networks' online presence. The site will be built with an existing online 3rd party CMS (content management system) to give the client full flexibility to keep the site current and up to date. 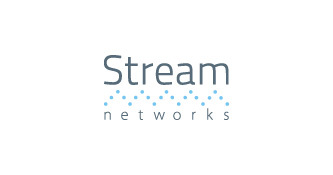 Stream Networks had recently merged two different companies together and was in need of a full rebrand once they picked out a name. The final brand is inviting, yet still very professional with a slight technical feel to it. 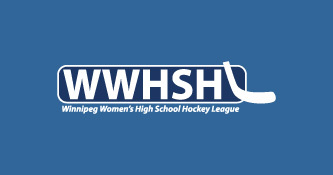 The Winnipeg Women's High School Hockey League badly needed a professional update to their initial logo attempts. I took a close look at all the other amateur sports leagues and associations and developed a versitile logo that met their varied needs. 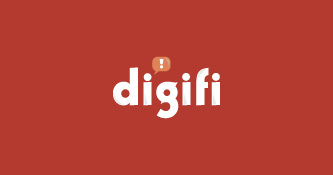 digifi inc. needed a modern brand package to convey a professional image to perspective customers. This brand acheives that with bold typeface & colours, along with a very technological feel to it as well. 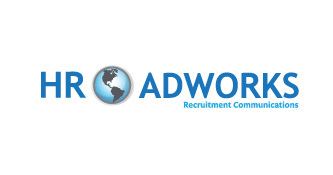 HR Adworks needed an update to their brand and all their marketing materials. The goal was to create a more HR friendly brand that would appeal to the company's target market of Human Resource professionals. Hello. 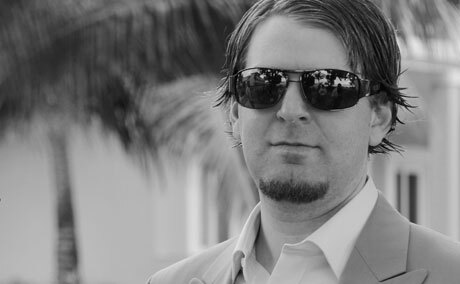 I’m Braden Gibbs and I’ve been many titles in my 10 years in this industry. My most recent title is Interactive & Creative Director, but I fit many other titles such as; web designer, project manager, marketing consultant, team leader, art director, illustrator, digital developer, and more. I am an award winning designer with a university degree in Fine Arts majoring in New Media. I’ve always been dedicated to improving myself and progressing within the industry, so I'm currently progressing through in the Marketing Management diploma program at the University of Winnipeg. I also have plenty of volunteer leadership experience, and my personality allows me to fit into a lot of different situations and team environments. I have a wife [Sheena], a year-and-a-half old son [Charlie], and we’re expecting our second child in November of this year. We live in Winnipeg, Manitoba. A couple of projects i've been heavily involved in have been lucky enough to win awards. Of note, the 2009 CEA 1st place award in the 'Corporate Employment Website' category. 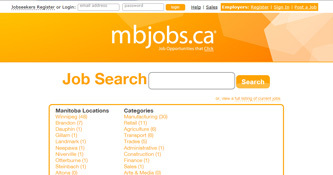 The jobpod.ca website created for Canada Safeway beat out other notable entries from Microsoft and the U.S. Border services.